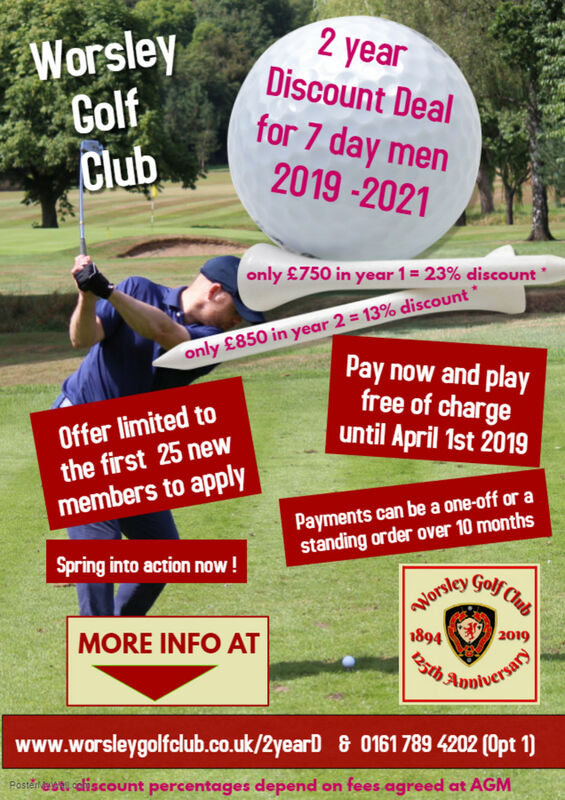 This Discount Deal is available to men who wish to join Worsley Golf Club as new 7-Day members. Fees for the second year will be £850 in full, or 10 monthly payments of £89 commencing with a first payment on April 1st 2020 and ending with a final payment on January 1st 2021. Full Membership will commence immediately for new members who make their annual payment in full anytime before April 1st 2019. This offer will also apply to those who make their first payment in cash and set up a standing order from April 1st 2019. This offer is limited and will be available to the first 25 new members who wish to join in the 7-Day men's category.